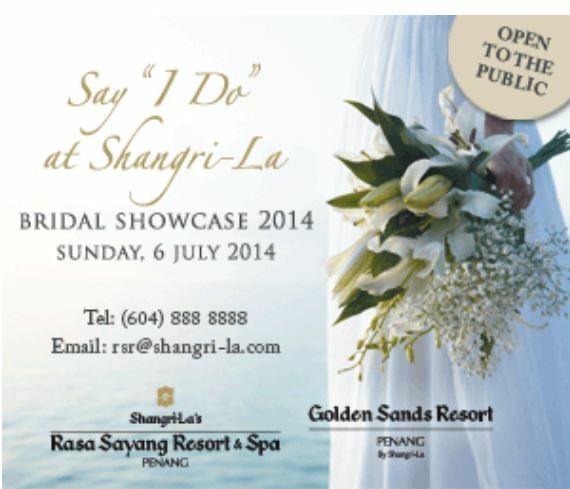 Shangri-La’s Rasa Sayang Resort & Spa, Penang and Golden Sands Resort, Penang will hold a wedding fair in the ballrooms of their respective resorts on Sunday, 6 July 2014, from 11 a.m. to 8 p.m. During the fair, couples who wish to tie the knot at either resort will be able to meet with the best wedding vendors within the Northern Region. There will be bridal gowns from wedding dress designers, Alden Leong and Mervin Ng, a live performance wedding band, Princess and The Frog, wedding planning tips from Floralsense Academy. Couples who sign up for wedding packages on the spot will also be entitled to lucky draw prizes of complimentary stays at Shangri-La properties in China, Hong Kong, the Philippines, Singapore, Thailand, Maldives and Malaysia. In addition, there will be lucky draws for spa treatments, buffet dinners and wedding-related products from sponsors. Both resort ballrooms will be decorated by Floralsense Creations. 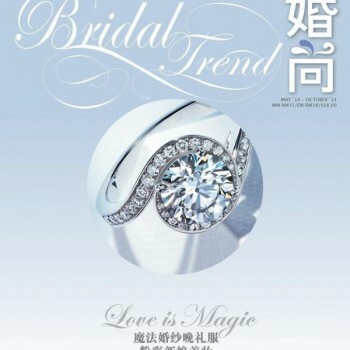 There will be a total of 20 event partners, including wedding dress designers Alden Leong and Mervin Ng, jewellers Amee Philips and OE Design, wedding planners and floral specialists Floralsense Creations and IsaBell, wedding planner Touching Hearts, bridal media specialists Bridal Trend and Sisters Pictorial magazines, online wedding media Wedding.com.my and weddingsmalaysia.com and Sunny Days stationery. 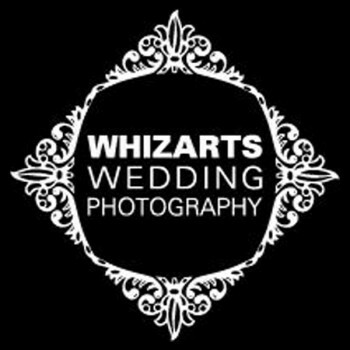 Other partners include wedding photography specialists WhizArts Wedding Photography, Wedding and Modern Potraiture, Eric Studio and Perfect Moments Studio, wedding band Princess and The Frog and other partners from Pangea Organics, Valiram Group and the Wine Shop. ***The day’s programme may be subject to change. Shangri-La's Rasa Sayang Resort and Spa, Penang. Shangri-La's Rasa Sayang Resort and Spa,Penang and Golden Sands Resort, Penang.